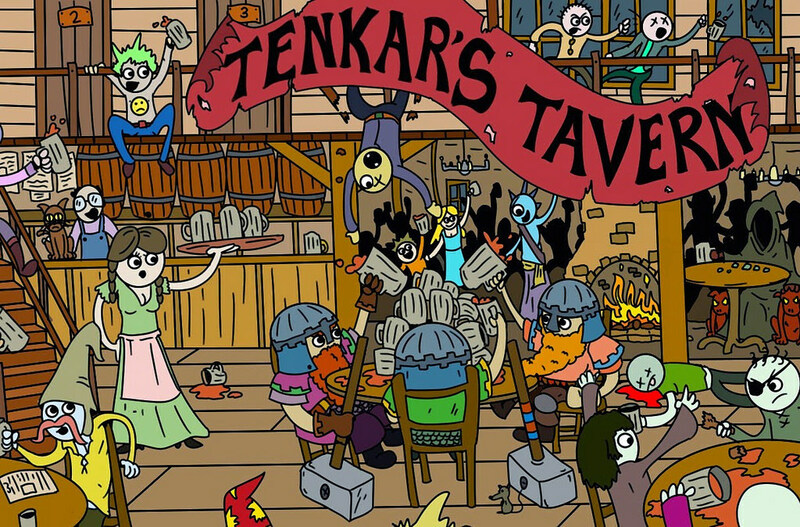 Tenkar's Tavern: The Tavern Chat Podcast - E124 - Henchmen, Hirelings & Followers - Yea or Nay? As far as henchmen and hirelings go, I haven't had a player be interested in them since 2nd Edition was new. What they have been interested in though, is npcs that are their level, pretty equal in power, have at least a little story to them and motivation/outlook to them and are just an extra character or two. Being npc's, lazy players will try to push them off on the dm to create and run. The times I have acquiesced to this, I made sure to give them hidden agendas/obligations/issues that could cause problems for the party or put them in precarious situations. These days I tend not to do that as I've seen "the dm's character" become too much of a thing and become either a generic healbot or far worse, masturbatory dming where all threats are handled by the dm's character, it is given hand picked magic constantly, and the party pretty much gets in trouble for it to show off so they can swoon. Alas, sadly...for the past many years, the day of the henchman/hireling has passed. I, for one, would love to see it return. 3.5e DM here. The only time my players have retained any long-term hirelings was when they acquired a small castle and brought in some mercenaries as guards. I handwaved the logistics of it by saying that each guy was also competent at something else; one of them was a decent enough blacksmith to keep their gear in shape, one was a decent enough cook to keep them all fed, and so on. The land around the castle was mostly civilized, so guarding it was an easy gig and thus none of the mercenaries complained about having to pull double duty (if it had been in untamed wilderness and constantly under attack, that would have been a different story). Saved the PCs some money by not having to hire support staff, and saved me some headache by not having to research what support staff a castle required. Outside of that, they've only ever hired specialists for specific, one-time jobs, like having a sage track down some obscure lore. Although 3e and 3.5e include costs and vague guidelines for hirelings, those rules seem mostly vestigial and PCs are expected to be self-sufficient. Also, PCs no longer gain followings automatically at high level; they must opt into that by taking the Leadership feat. So far none of my players ever have. I don't know if the phasing-out of hirelings is a result of the rules no longer spotlighting them, or if the rules no longer spotlight them because most people didn't use them anyway. Most of my players are older than myself and they say they never bothered with that stuff in 2e either.